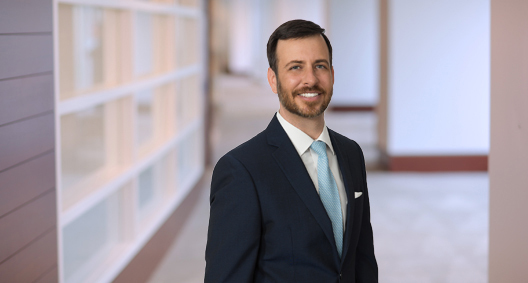 Will Daugherty is a member of the firm’s Chambers USA-ranked Privacy and Data Protection group. He has extensive experience counseling clients across a broad range of industries on all aspects of preparing for, and responding to, data security incidents. Will works with clients immediately after discovering a potential security incident to develop an effective strategy to understand what happened, contain and remediate the incident, assess regulatory requirements, and build an effective communication strategy designed to preserve customer relationships and minimize the likelihood and consequences of regulatory investigations and litigation. Will uses his extensive incident response experience to help companies build comprehensive data security programs and prioritize data security projects, as well as to prepare companies to respond to data security incidents by developing incident response plans and conducting tabletop exercises. Will also advises clients on a wide range of privacy and data security issues, including those arising under the Gramm-Leach-Bliley Act, the Electronic Communications Privacy Act, the Critical Infrastructure Protection Reliability Standards, FERPA, CISA, PCI-DSS, the FTC Act, state data protection laws, and self-regulatory rules. Will is a frequent speaker and publisher, as well as a recognized leader the privacy and data security field. He has earned the designation of Certified Information Privacy Professional through the International Association of Privacy Professionals. Represented international, multi-brand dining, hospitality, gaming and entertainment organization in connection with a payment card incident, including coordinating the forensic investigation, advising on card network rules, coordinating with numerous law enforcement agencies, developing and implementing a broad communications plan, and resolving regulatory inquiries. Represented global hospitality company in a payment card security incident involving properties all over the world, including all aspects of the internal forensic investigation, Payment Card Industry Forensic Investigation, communications strategy, and notifying and responding to state and international regulators. Represented global silicon-chip developer and manufacturer in connection with an advanced persistent threat attack into their network, including all aspects of the incident response, such as interactions with federal law enforcement, coordinating the forensic investigation and advising on global regulatory and compliance issues. Represented major international airline in all aspects of privacy and data protection matters, including drafting incident response plans, conducting tabletop exercises, novel privacy and technology issues, and responding to data security incidents. Represented payment processing company in connection with an investigation by the Federal Trade Commission related to a data security incident that was successfully resolved with no action by the FTC. Advised national manufacturer of delicatessen foods in connection with a data security incident affecting thousands of employees, including coordinating an investigation with law enforcement, coordinating a forensic investigation, developing communications plans and addressing regulatory issues. Advised global automaker in connection with privacy and data security issues involved with development of semi- and fully-autonomous driving program. Represented insurance administrator in connection with an incident involving unauthorized access to client databases. Advised global oil and gas services company in connection with privacy and data security issues raised in the development of advanced drilling technologies. Counseling on the legal risks associated with third-party vendors, global supply chain contracts and customer agreements, including mitigation of risk through contractual protections and ongoing governance. Advising public electric utility companies on developing incident response plans, negotiating agreements with incident response vendors, conducting tabletop exercises and responding to data security incidents. Advising broker-dealers, investment advisers and investment companies in connection with all aspects of incident responses preparedness, compliance with GLBA and responding to data security incidents. Regularly conducts in-house security training and tabletop exercises for companies in a wide-variety of industries to build awareness and help companies prepare to effectively and efficiently manage data security threats and incidents. Successfully represented African victims of torture in obtaining asylum through the Human Rights Initiative.